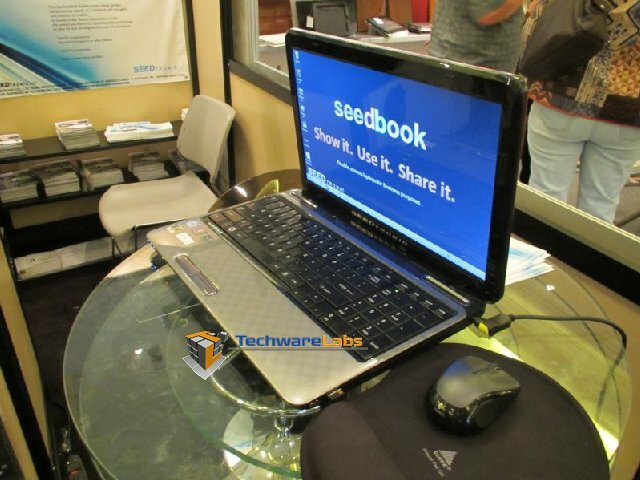 SEEDTRONIC made an appearance at CES2012 to show off their prototype laptop labeled “seedbook,” which features dual screens. 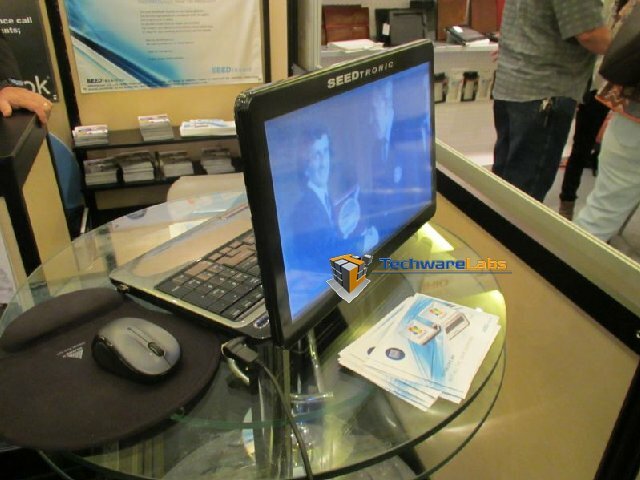 This new company has a very unique product which allows a user to share a laptop screen while facing the audience. The laptop can also be held and used like a tablet since the exterior screen is touch sensitive . The seedbook would be ideal for a small workgroups where there is no projector available and the user would like to have face to face conversation with the rest of the workgroup. SEEDTRONIC has an interesting concept and we are looking forward to getting our hands on a review sample. So check back in a few months for a possible full review.